The New York Plank line is one of the most beautiful and recognizable finishes on the market. These 6′ long and 7.5″ wide planks of double-smoked and double-stained hickory is the pinnacle of wood luxury. 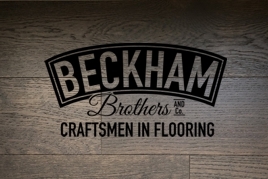 Charleston Plank is part of the Beckham Brothers line of engineered hardwood. It has a stable Eucalyptus base with a brushed White Oak or Hickory top. Pictured here in Folly Beach, its 6-ft long planks with 3/8' thickness are surprisingly affordable! 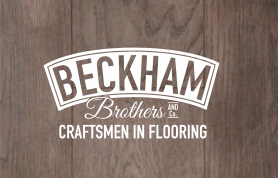 What is the difference between solid and engineered hardwood? What do these differences mean for me? Solid hardwood is made of the same material throughout. 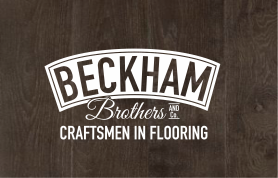 Engineered hardwood is composed of a top layer of high-grade hardwood supported by veneer, composite materials, or lower grade, fast-growing lumber. 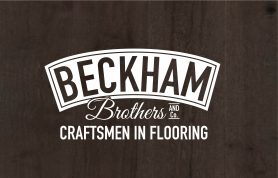 Engineered hardwood is typically easier to install and maintain, but the “wear layer” is thinner which means it cannot withstand as much sanding and refinishing as solid hardwood. 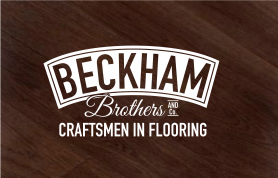 Engineered hardwood can typically withstand 2 or 3 sandings, whereas solid hardwood can withstand up to 4 or 5. How do I maintain the quality of my hardwood? 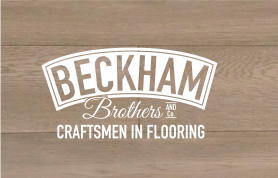 To avoid damaging the finish of the hardwood, do not use abrasive cleaners, buffers or nail polish remover on the flooring. To avoid warping and delamination do not wash or mop the floor with soap, water, detergent or any liquid cleaning materials. Protective mats in entrance ways and floor-protectors on the feet of furniture will prevent scratches, denting and wearing of the floor’s surface. Sweeping, dust-mopping and vacuuming is preferable.